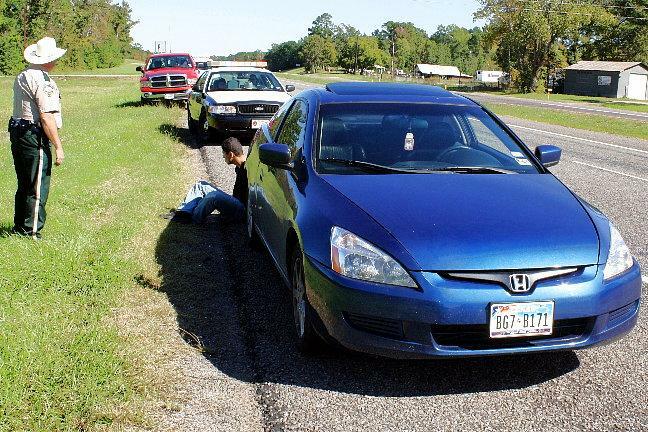 Two Youngsters Learn the Hard Way About Listening to Mom, LIVINGSTON, November 1, 2009 - Shortly after 12 noon on October 31, 2009, a vehicle that was reported stolen out of Lufkin was spotted by DPS Trooper David Flowers. The vehicle was a late model blue Honda. 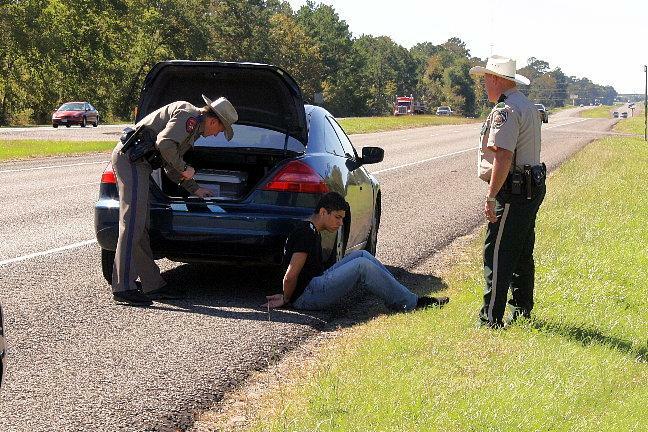 Trooper Flowers spotted the vehicle south-bound on US-59 and pulled it over about 5 miles north of Livingston. 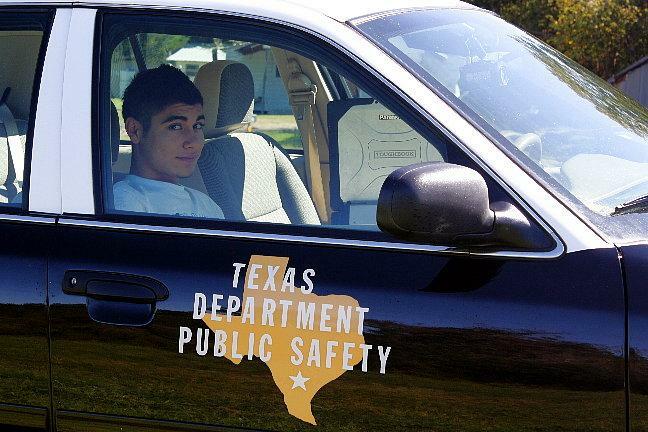 As it turns out, the vehicle was being driven by 17 year old Christian Samar Granados of Lufkin who had his 15 year old brother as a passenger. As the story goes, the mother of the two brothers told them not to drive her car. They chose to disobey their mother and took the car anyway. By all appearances, the youngsters were headed for Houston looking to have a good time. The problem is, their mother reported the vehicle as stolen. Flowers detained the brothers. Both were driven to Polk County Jail. 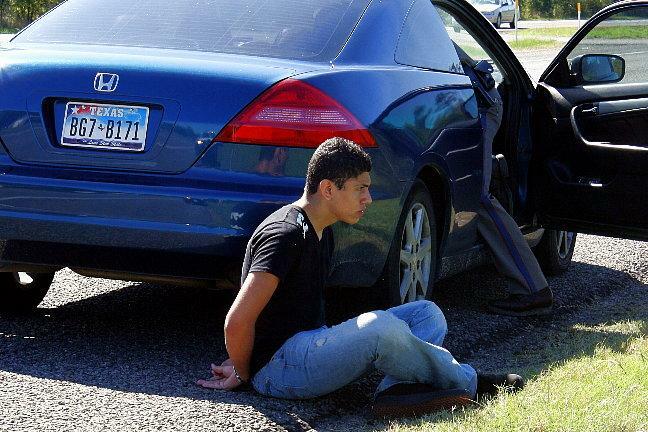 17 year old Christian Granados was charged with theft of auto. Mom didn't think taking her car was funny. ...while his 15 year old brother is cuffed outside. Trooper David Flowers searches the vehicle as Deputy Glen Edwards stands guard. A vehicle search is standard procedures in the case of auto theft.